Haircut, Technology, and Making Customer Happy – Where is Naoko? I went to get a haircut – I’ve been going to one place since the beginning of this year and I really love it there. I was talking to the manager who happened to be on the rotation that day. He also told me that the hardest part is that people want different type of hairstyle depending on their feeling at the moment. It’s hard to guess what it is, and a customer may get a haircut using the best technique available and still be unhappy if that’s not exactly what he/she wants. I think sometimes we forget that. Making your customer happy doesn’t mean using the latest technology available. You need to listen and try your best to sense what they want. I love talking to professionals in different fields. What they are dealing with is usually completely different from what I do at work, but people who put the best in their work inspire me a lot. Thanks Joy! 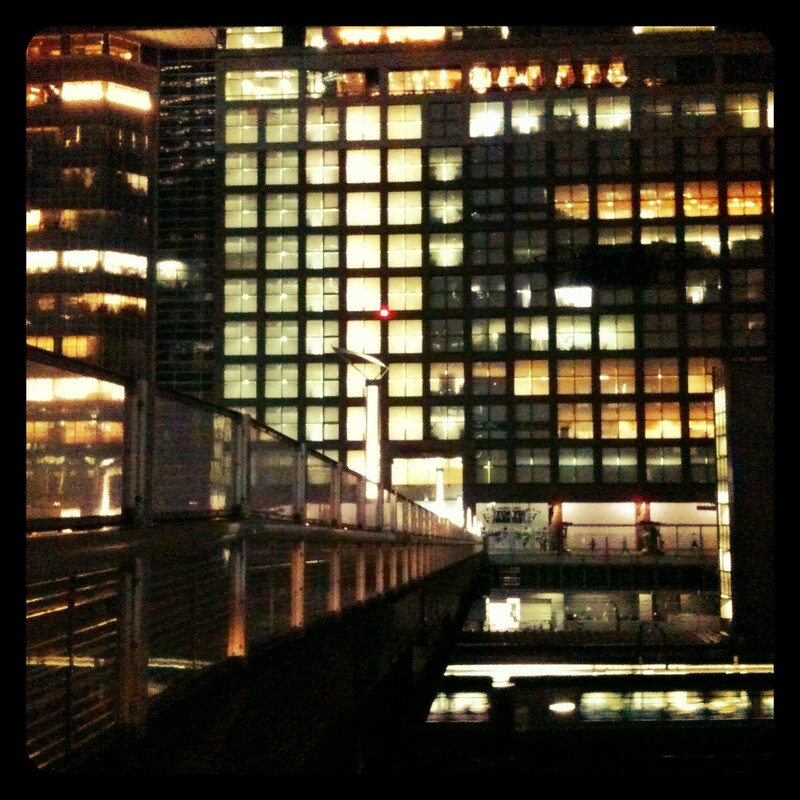 It’s a building & bridge over Shinjuku Station. Wonderful and prudential words on life. I love this post the best and you really think a lot about life. Zhao, you make me motivate to take more photos & write more 🙂 Thank you for your support!